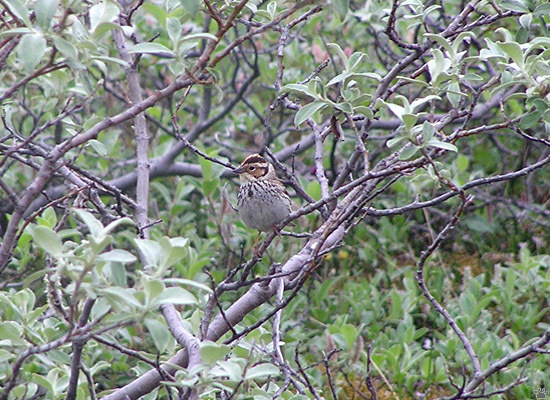 Little bunting, Emberiza pusilla, Coal Mines, Chukotka, Russia. 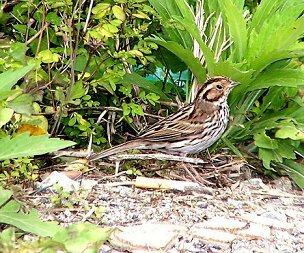 The Little Bunting, Emberiza pusilla, is a passerine bird. It belongs to the bunting and American sparrow family Emberizidae, a group separated by most modern authors from the true finches Fringillidae. similar. The call is a distinctive zik, and the song is a rolling siroo-sir-sir-siroo. in the subtropics in northern India, southern China and the northern parts of southeast Asia. 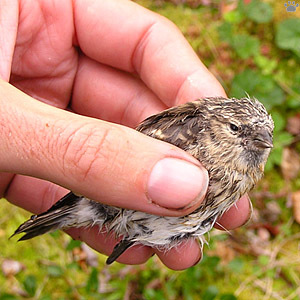 The birds remain in their winter quarters for quite long; specimens were taken in Yunnan in late March. 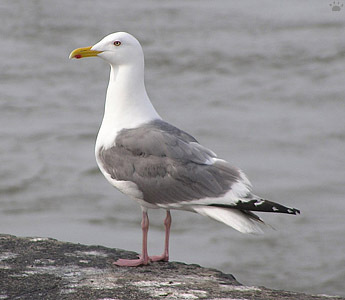 It is a rare vagrant to western Europe. 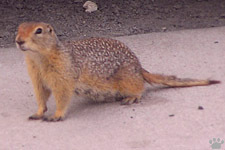 This species is adaptable; in the mountains of Bhutan for example, where small numbers winter, it is typically found in agricultural habitat, mostly between 1,000 and 2,000 metres asl. 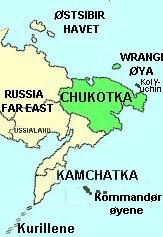 It breeds in open coniferous woodland, often with some birch or willow. 46 eggs are laid in a tree nest. except for the Arctic Coast. 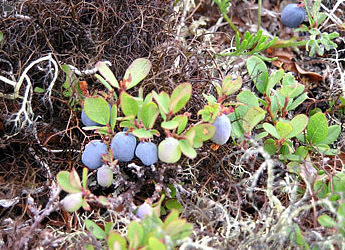 Northern bilberry, Vaccinium uliginosum, Volchya Valley. Cloudberry, Rubus chamaemorus, Volchya Valley. Vaccinium uliginosum is native to cool temperate regions of the Northern Hemisphere, at low altitudes in the Arctic, and at high altitudes south to the Pyrenees, the Alps, and the Caucasus in Europe, the mountains of Mongolia, northern China and central Japan in Asia, and the Sierra Nevada in California and the Rocky Mountains in Utah in North America. 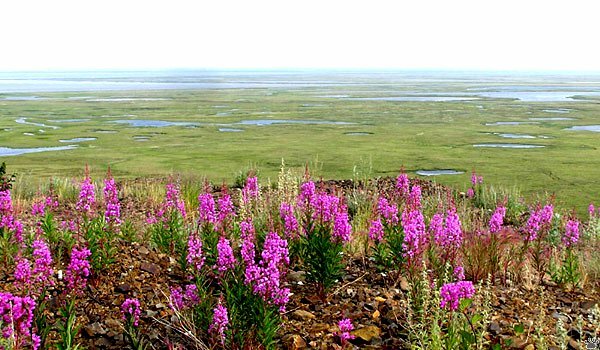 It grows on wet acidic soils on heathland, moorland, tundra, and in the understory of coniferous forests, from sea level in the Arctic, up to 3,400 metres (11,200 ft) altitude in the south of the range. 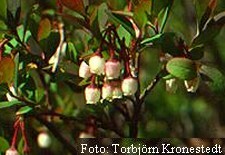 Vaccinium uliginosum is a small deciduous shrub growing to cm 1075 centimetres (0.332.46 ft) tall, rarely 1 metre (3.3 ft) tall, with brown stems (unlike the green stems of the closely related Bilberry). The leaves are oval, 430 millimetres (0.161.2 in) long and 215 millimetres (0.0790.59 in) wide, blue-green with pale net-like veins, with a smooth margin and rounded apex. The flowers are pendulous, urn-shaped, pale pink, 4-6 mm long, produced in mid spring. The fruit is a dark blue-black berry 58 millimetres (0.200.31 in) diameter, with a white flesh, edible and sweet when ripe in late summer. Cloudberry, Rubus chamaemorus (Greek chamai "on the ground", moros "mulberry") is a rhizomatous herb native to alpine and arctic tundra and boreal forest, producing amber-colored edible fruit similar to the raspberry or blackberry. English common names include cloudberry, bakeapple (in Atlantic Canada), Knotberry and Knoutberry (in England), Averin and Evron (in Scotland). 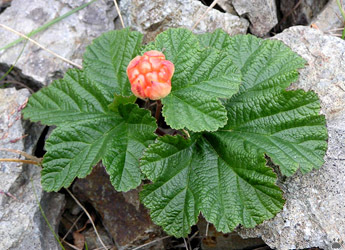 The cloudberry grows to 1025 cm high. The leaves alternate between having 5 and 7 soft, handlike lobes on straight, branchless stalks. 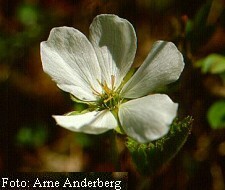 After pollination, the white (sometimes reddish-tipped) flowers form raspberry-sized berries. Encapsulating between 5 and 25 drupelets, each fruit is initially pale red, ripening into an amber color in early autumn. The cloudberry can withstand cold temperatures down to well below -40°C, but is sensitive to salt and to dry conditions. 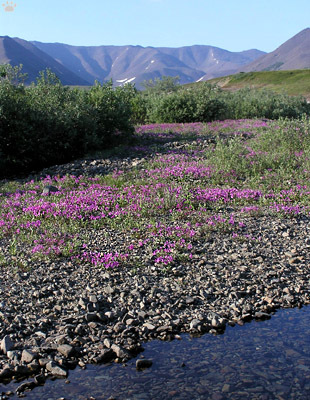 It grows in bogs, marshes and wet meadows and requires sunny exposures in acidic ground (between 3.5 and 5 pH). Cloudberry leaves are food for caterpillars of several Lepidoptera species. The moth Coleophora thulea has no other known foodplants. 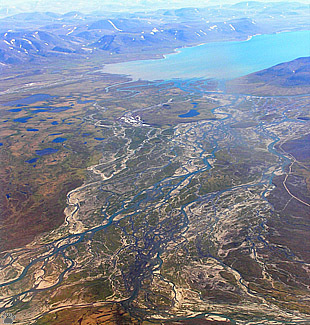 Rivers of Chukotka flow over permafrost so they erode their banks rather than bottoms. 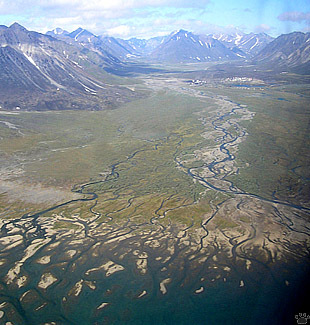 River delta, Cross Bay, Chukotka. 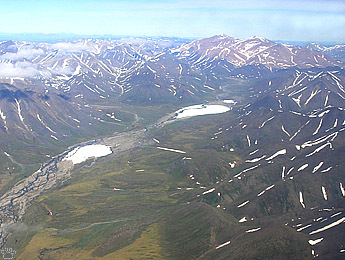 River valley, Cross Bay, Chukotka. 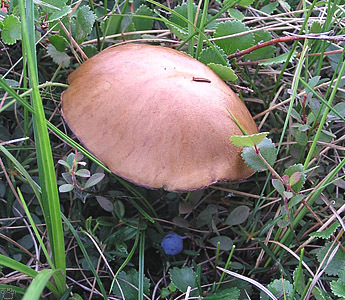 Birch bolete (Leccinum scabrum), Volchya Valley. stream, pond, lake, marshland, estuary, canal, sink or reservoir. 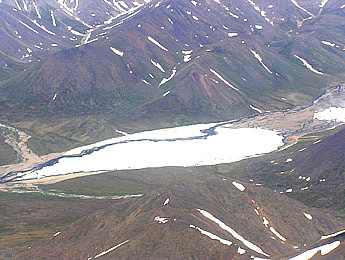 one of the sources of the Icha River, flowing to the west, into the Sea of Okhotsk. 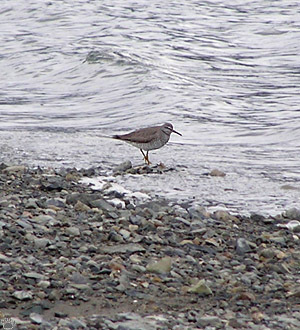 The Grey-tailed Tattler, Tringa brevipes (formerly Heteroscelus brevipes), is a small shorebird. 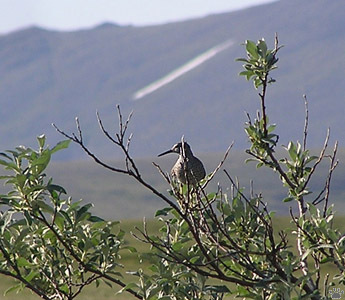 The Grey-tailed Tattler is closely related to its North American counterpart, the Wandering Tattler, Tringa incana, and is difficult to distinguish from that species. 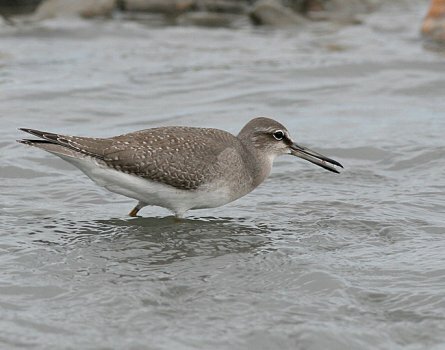 Both tattlers are unique among the species of Tringa for having unpatterned, greyish wings and back, and a scaly breast pattern extending more or less onto the belly in breeding plumage, in which both also have a rather prominent supercilium. They are very similar to their American counterpart, and differentiation depends on details like the length of the nasal groove and scaling on the tarsus. The best distinction is the call; Gray-tailed has a disyllabic whistle, and Wandering a rippling trill. in trees. 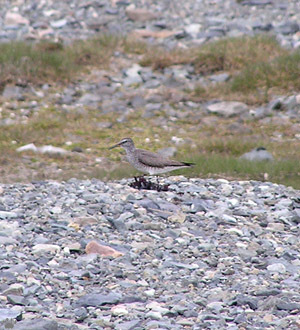 They also sometimes use old nests of other birds. 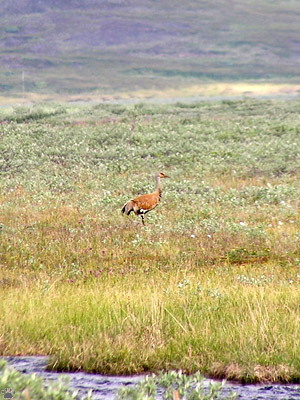 gregarious birds and are seldom seen in large flocks except at roosts. 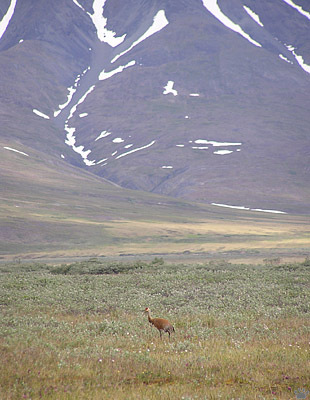 As vegetation zones shift to the north, many southern species increase their ranges. magpies, swallows and numerous southern insects and plants. 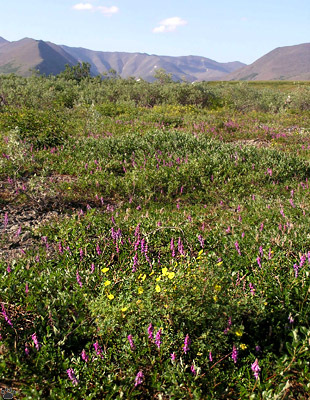 So far, northern species don't seem to be in trouble, but things might change very rapidly. 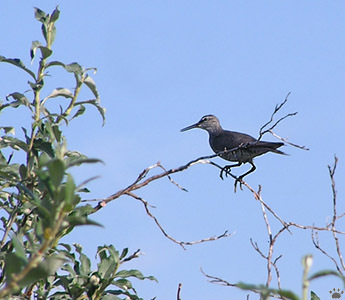 Wandering tattler, Tringa incana, Ioanna River. 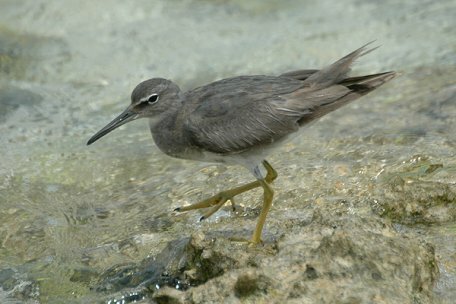 The Wandering Tattler, Tringa incana (formerly Heteroscelus incanus), is a medium-sized wading bird. 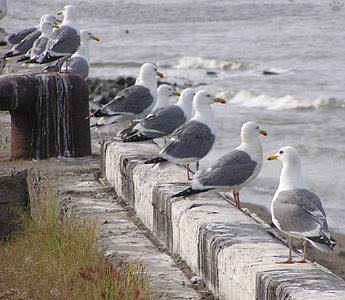 These birds have stocky bodies with gray upperparts, underwings, face and neck and a white belly. They have short dark yellow legs and a dark gray bill. 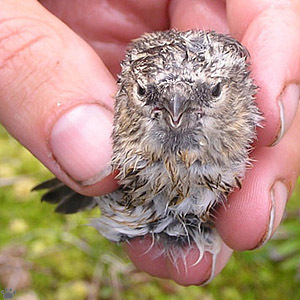 Adults in breeding plumage are heavily barred underneath. 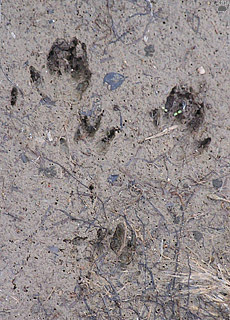 In summer, they are found in Alaska and northwestern Canada. 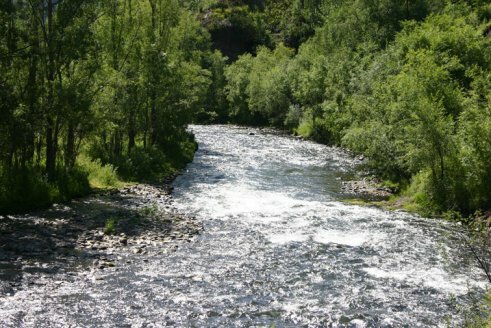 They nest in rocky areas along mountain streams. California to South America and as far as Australia. eat insects. While wading, they forage actively, making jerky bobbing movements. 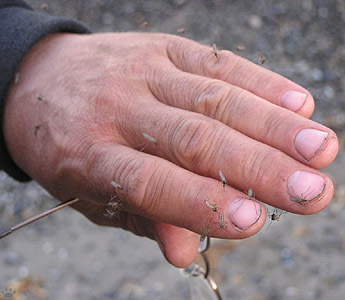 who are soon able to forage for themselves. The call is a rapid trill of accelerating, descending notes of decreasing volume. Vega gulls, Larus vegae, Coal Mines. 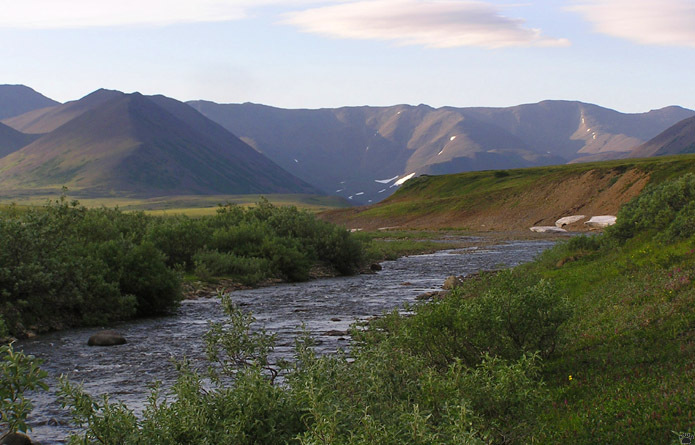 Warming climate makes it easier for wildlife to cross the Bering Strait. Sandhill Crane, Grus canadensis, Cross Bay. 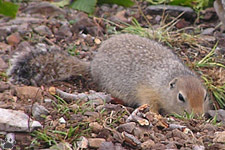 Arctic ground squirrel, l, Cross Bay. 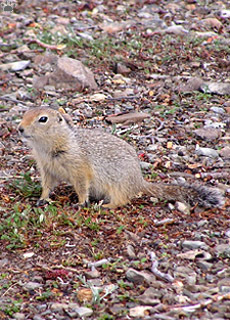 Arctic ground squirrel, , Belyaka Spit. 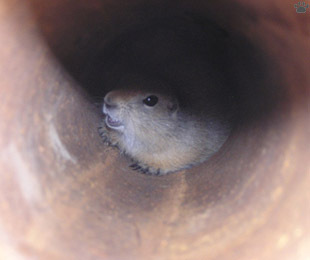 Arctic ground squirrel, , Anadyr Airport. 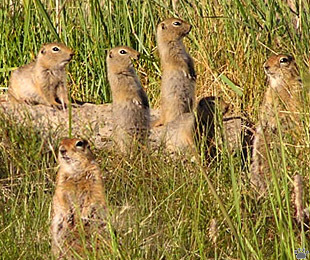 Read about the Arctic Groundsquirrel here. 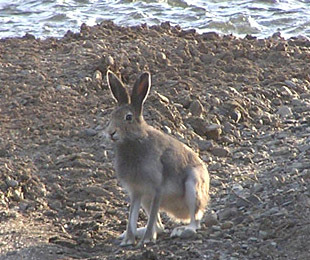 not to mountain hare, Lepus timidus, of Eurasia. 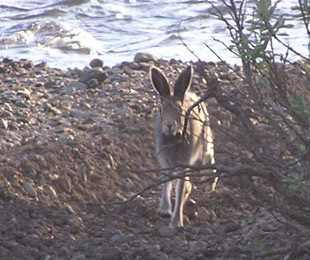 Alaska hare, Lepus othus, Sbornaya River.